Due to a staffy's incredible jaw strength, it’s extremely important to teach them that biting people or other dogs isn’t okay at a young age. Learning how to stop a puppy biting is a crucial stage of their early training. After all, puppies spend a lot of time chewing or biting and it’s important to curb this behavior from continuing into their adult years; puppies love to mouth people’s hands during their playing. At first, puppy biting can be very cute, but once they are a few months old it can be very unpleasant for everybody. 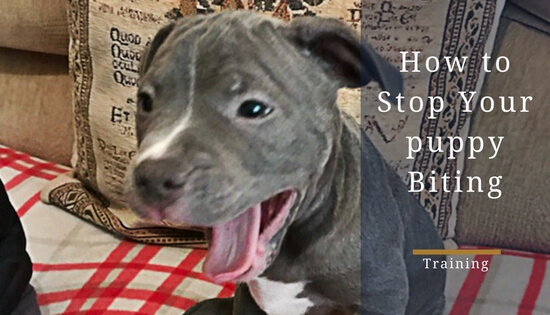 To help you combat this, I’m going to give you some methods you can use to stop your puppy biting and a series of tips that will make it easier to teach your new staffy to resist the urge to bite. Biting for a young puppy is very natural. 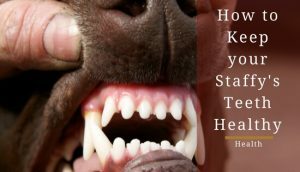 You may feel like your own dog has a problem with biting too much, but the fact is that all puppies bite. The reasons for a puppy biting are varied and depend on the situation. Below are a few of the common reason for a puppy to nip or bite. Of course, dogs use all four of their paws for waling so don’t have hands to feel and explore their surroundings with. On top of that, their paws aren’t exactly made for gripping objects. Instead, a puppy will use its mouth as a means of inspecting the environment. Even human babies use their mouths in a similar fashion. Young puppies usually use their mouths to play with each other. Usually, they will play until one puppy takes a bit too far and nips harder than the other would like. Playtime then resumes after a couple of minutes. Puppies also learn quite quickly that a little bit will get a reaction from its’ siblings. Your puppy will try the same tactic with you if it is bored or wants some attention. Just like human babies, puppies go through teething as well. If there isn’t a chew toy present, it may be tempted to chew whatever is closest to it. While this isn’t exactly biting, you should still deter a puppy from having its’ teeth come into contact with your skin at all (more on how that later). Most of this section can be related to dogs in general. There are a few common behaviours that might trigger a puppy to bite and it is important to be aware of them. After all, if you can remove the triggers, your puppy will be less likely to bite you in the first place. Perhaps the most common trigger is over-excitement. This usually happens when children are around. A child running around and displaying high amounts of energy is likely to stimulate a dog. When they are excited, a dog will tend to bit more and, in its’ excited state, is less likely to control how hard he/she bites. Another common biting trigger for puppies is simply waving your hands around its face and mouth area. If you act like your hands are a toy for the puppy, it is going to treat them like one. Instead of messing around with your hands, try using an actual toy so the puppy gets used to biting that rather than your fingers. There are a few useful and well-known methods for teaching a puppy to stop biting people. These methods are great starting points and, in many cases, should do the trick when done consistently. The important part of this is getting your dog to understand that biting means play time is over and it only continues when they aren’t biting. This is a very simple method; it’s pretty much common sense but I will explain the reason behind it first. Puppies will learn bite inhibition when they are young from their siblings. When playing and communicating with eachother, puppies will use their mouths. When a puppy bites another too hard, the other puppy will “yelp”, which normally startles the biting pup. The puppy remembers being startled and learns not to bite as hard next time around. Over time, a puppy learns that biting too hard is not a good idea. The pup will also learn this when feeding from its’ mothers teats; if it bites those too hard, the mum will usually move away and puppy goes hungry. All of this adds up to a learning experience that teaches the puppy biting hard does not lead to anything good. You can use this principle with your puppy as well. 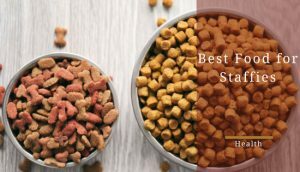 To do this, you will need allow your pup to "mouth" you, which seems counter-intuitive to this article but it's all part of the learning process. When it bites down too hard, let out a bit of a yelp or say “ow” loud enough to startle him/her a little. You should also remove your hand and stop giving the pup attention for a while. When you go back, do the same if it happens again but be sure to acknowledge and reward your dog when it plays in the correct manner. This is another popular method that a lot of dog behaviour experts will reference. You can think of it as the next step once your puppy has learned bite control from the previous step. This method is exactly as it sounds; you teach your dog that having its’ teeth on your skin is not good. It works just the same as the previous technique by enforcing the fact that biting puts an end to the fun. The idea is to stop playing anytime your dog’s teeth touch your skin. It is probably a good idea to start slowly then build up over time. What I mean by that is, to begin with, you may allow some mouthing but stop when it gets too hard. Over time, you gradually allow your pup to get away with less and less teeth-to-skin contact until it knows that it isn’t allowed at all. 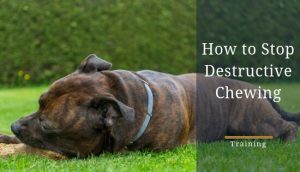 If he/she does ever want to bite, get a chew-toy involved and redirect the pup’s attention to that instead of your hands. These sprays can be used if the techniques above are unsuccessful or if you want to make the process a bit easier. Spraying your hands with a chew deterrent spray is another way to teach your dog that good things do not come from biting. Just make sure you redirect your dog’s attention to a chew toy after it has reacted to the bad taste. Give them a reward for chewing the toy instead as well. Again, this reinforces the notion that chew toys are good and human skin is bad for biting. You can get deterrent sprays at any pet shop or on Amazon. This bitter apple scented spray is the most popular on Amazon. As with any dog training, it’s important to be consistent. In this case, it’s important to yelp or say "ow" or "no", in a firm voice every time your staffy bites your hand. It will tell the puppy that they have done something wrong. However, don’t go right back to consoling the puppy after yelling at them. I know it’s hard, but you need to walk away calmly and ignore them. Puppies thrive on your attention; therefore, by denying it you inform them their actions were wrong. The last thing you want to do is run around like a mad person from your staffy; it will look like you’re enjoying it and they’ll continue to chase you. Basically, don’t turn yourself into something your puppy thinks is okay to bite. This is an especially important tip for your children to follow because if they don’t, it will stimulate the puppy’s natural instincts causing the problem to get worse; your children need to remain calm and keep their hands close to their bodies. 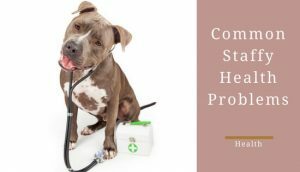 If your staffy bites you or another dog, resist the urge of yelling at them beyond the initial, “ow/no", because you don’t want to go over into providing them with negative reinforcement; they’ll see the yelling as gaining attention from you. In a sense, it’s still a reward for them. Instead, just turn around and ignore them or put them in timeout. For example, putting them in their crate is a good way to calm them down. The crate will act as a buffer zone to have them diffuse all that puppy enthusiasm. More importantly, it will make it easier for you to ignore them. Essentially, you are trying to teach your staffy to associate the biting with losing the ability to gain your attention. Once, you’re confident your staffy knows biting people or other dogs will make you ignore them, give them an alternative to chew. A puppy isn't just going to stop biting or chewing all together; it’s natural to them. If they do start mouthing your fingers while playing, give them a toy instead to chew. It will show them what’s okay to bite and what’s not. Over time, your puppy will realise that chewing the toy instead won’t result in a timeout. In the event the toy doesn’t stop them, return to tip number 2 and stop play immediately. The last thing you want is a further regression from your pup. Let your puppy meet a lot of other dogs in a controlled setting, whether it be in a behaviour class or inviting your friend's well-behaved dog over to meet your staffy.At first, it's probably wise to avoid dog parks since it might overwhelm them. Honestly, there’s no better teacher for your puppy about their manners than other dogs. They’ll learn quickly about what’s allowed during playing and what’s not. 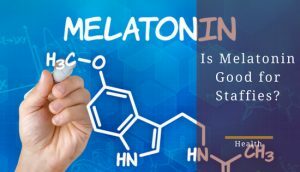 It will ingrain, at an early age, the proper ways to play and make it easier for them to avoid behavior issues as they grow older. In the end, socialising with other dogs will make it easier for your puppy to understand biting isn’t a proper way to introduce themselves to people or dogs. Playing rough with your staffy will just make the urge to bite more enticing for them, especially, if you decide, using your hands, as a toy, is a good idea. 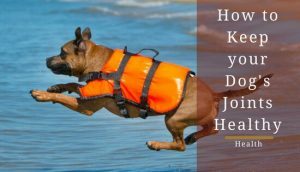 You want to keep the playing calm and controlled to increase the likelihood your staffy will resist biting. 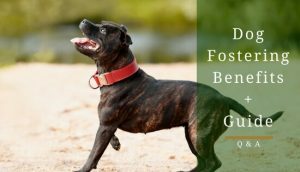 You don’t want your mistake to be the reason your staffy regresses with his/her training. Again, it’s important to watch how your children play with your puppy. As we all know, children tend to be less careful and jumpy around dogs causing them to be overwhelmed or more prone to aggression. Having a watchful eye on your puppy’s interactions with children is a necessity. As with any dog training, it’s important to reward good behavior with positive reinforcement. For instance, make sure to always reward your staffy after a play session ends without a blow-up or them biting. Give them a treat and praise them for their actions. It will remind them that what they’re doing is a good, praiseworthy action; they’re then more likely to repeat it in the future. For example, if they drop a ball when you tell them too, saying, “Good dog” or “Good boy” will reinforce this action as being a good thing. Of course, this seems obvious, but you’d be surprised how many people think hitting a puppy is ok. It will just teach the dog to fear you or become more aggressive. In other words, it will just reinforce the very thing you want to discourage in the first place. There’s no point in smacking your dog on the behind or the nose; it will only make things worse. 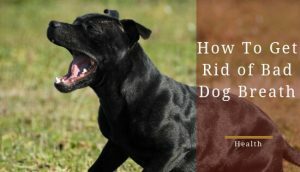 If you do find your dog’s biting out of aggression rather than play, seek professional help from a vet about how to manage that behavior.